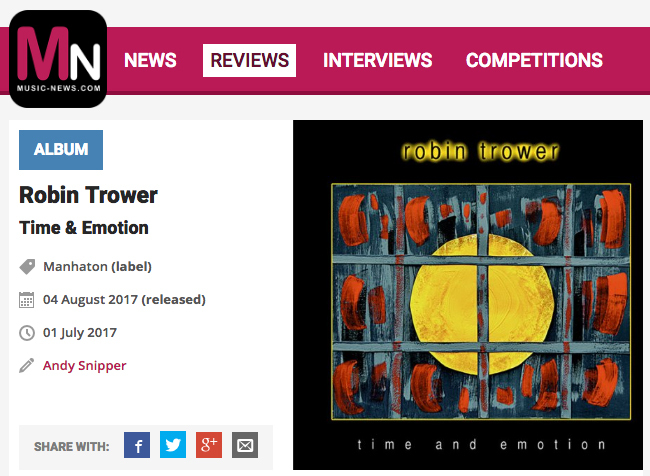 Robin’s new 2017 album ‘Time and Emotion’ is out now and shipping in the UK and Europe from Manhaton Records here. 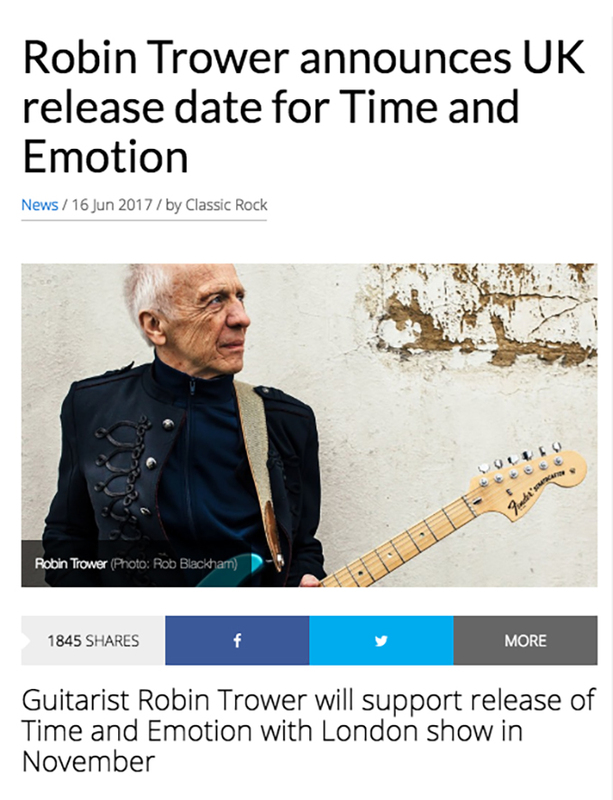 Official release date for Amazon, iTunes etc is August 4th. 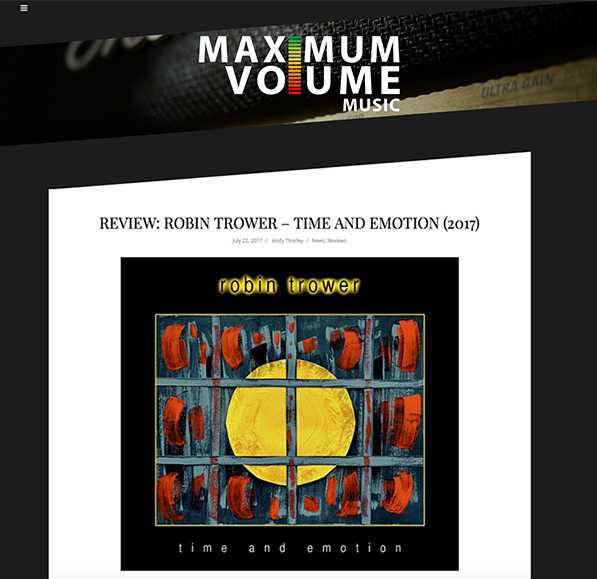 Robin Trower – a modest master of understatement, if ever there was one! 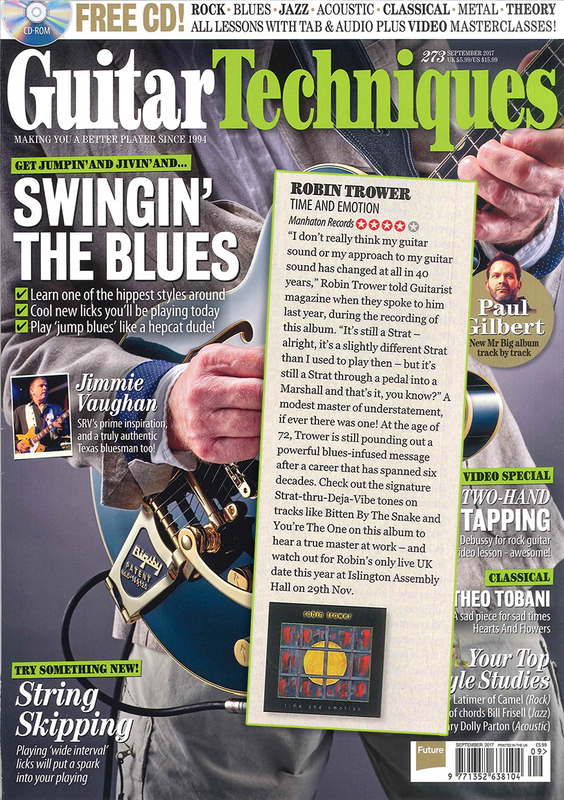 Read the full Blues Matters! 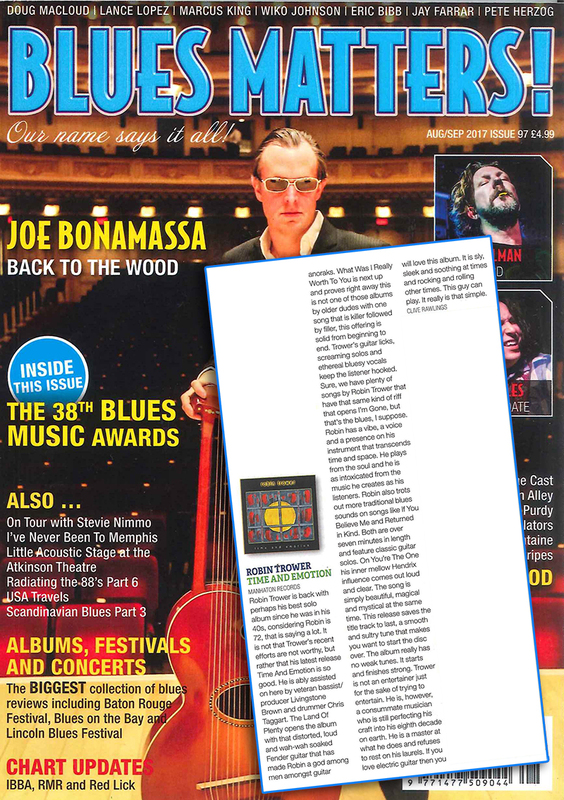 review, Here. 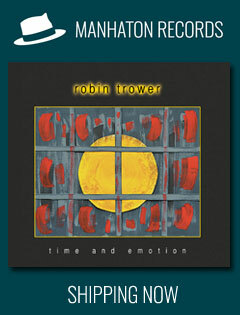 So, is “Time And Emotion” another one where we can say Robin Trower has released his best solo album? Without sitting on the fence we’d say why bother to choose. 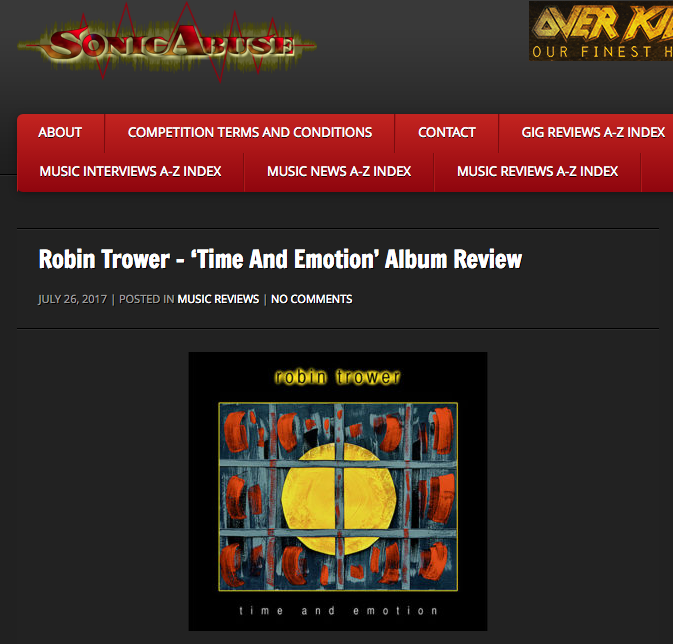 Look at the 2016 and 2017 albums as two halves of the same whole. 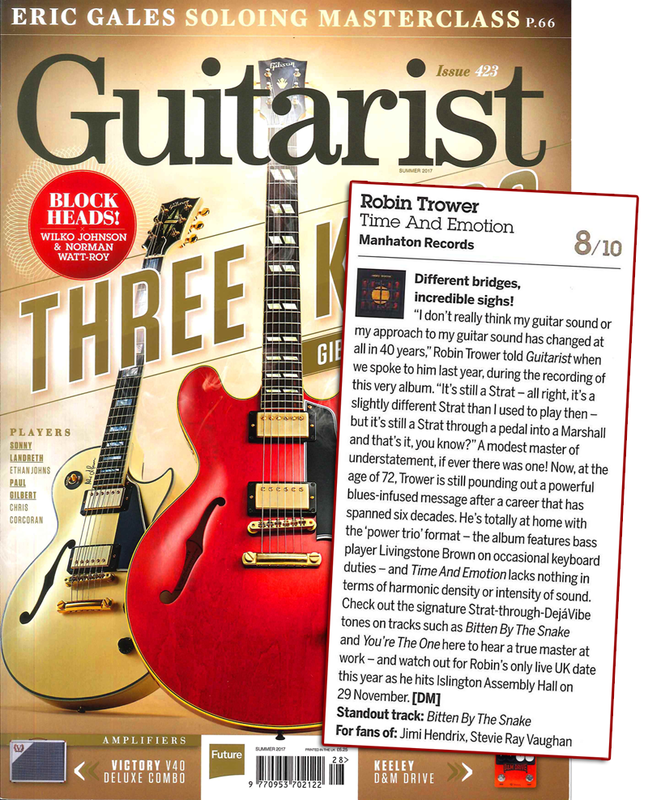 Both are incredible, and with them Robin Trower must surely have cemented himself as the best on these shores. 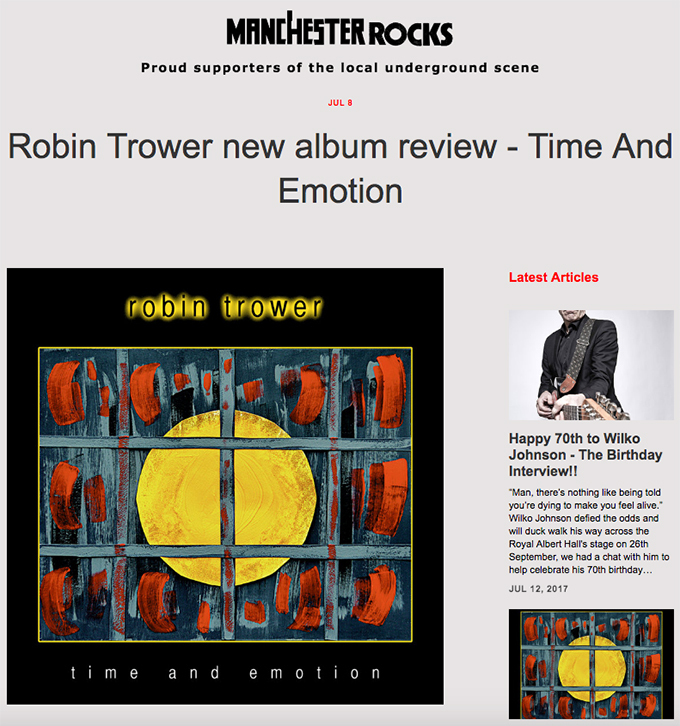 “I am almost fed up with saying time and again that this may be the best thing he has ever done but Trower continues to create and move his music further along the road.